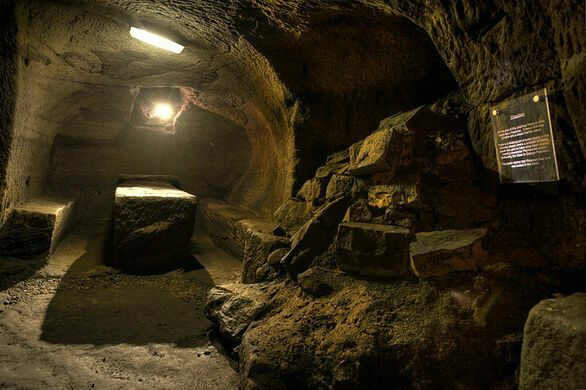 Known collectively as Gilmerton Cove, the network of seven chambers and numerous passages that runs beneath the Edinburgh suburb of Gilmerton has baffled historians since its discovery. While Gilmerton was at one time a thriving mining community, the hand-carved caves and passages of Gilmerton Cove were never involved in the mining of ore. Theories about the existence of the caves abound, but their history and true purpose remains unknown. Was Gilmerton Cove once a place for the gentry to drink discreetly? A hiding place for religious refugees? A smuggler's lair? Join us on Obscura Day to investigate for yourself with a very special after hours tour, followed by a discussion and viewing of 18th century archeological finds that have been excavated from the subterranean passageways.